While the Chinese-owned banana plantations in the northern Lao province of Bokeo have provided the area with employment, there are numerous negative consequences to its existence. The plantations have had detrimental effects on health and the environment since its establishment in 2011, such as chemical inhalation related death and infertile land due to toxin exposure. Ms. Oh, a local resident of the affected area, witnessed her own daughter’s descent into illness, and even after informing the responsible parties of the plantations, they would not even entertain her claims, “She had to throw up at least 10 times that day. Each time the Chinese supervisors came around, she hurried back to work to not lose her daily wage, and as soon as they left she threw up again. Afterwards I took her to the hospital. The doctor told me to keep my daughter away from the plantations. I had to pay 200.000 KIP for her treatment, and I complained to the company, but no one would listen”. The situation for these plantation workers has begun to improve, however, with the work of Oxfam in Laos’ partner – Women Mobilizing for Development, also known by its Lao acronym, MHP. 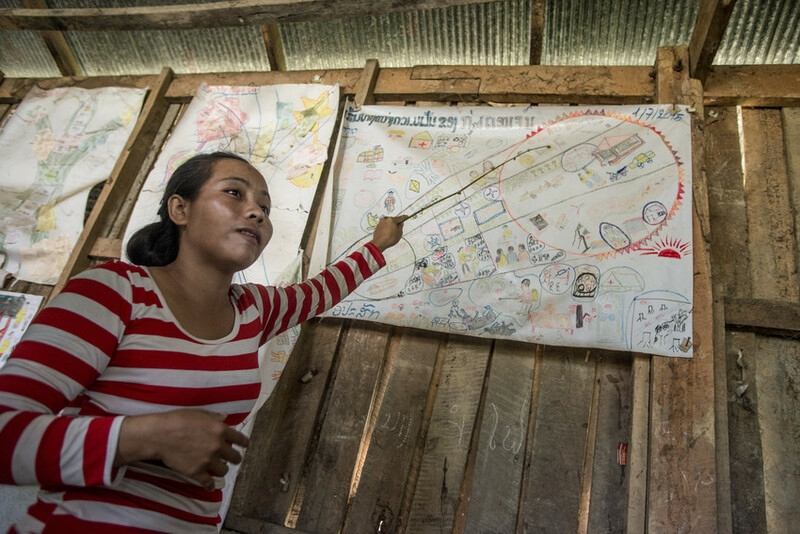 Through training sessions given throughout the community, the Gender Action Learning System (GALS) framework has been implemented and communities have seen firsthand the benefit of these alternative paths of action. Labourers will only work on days that chemical provisions are not used, and many farmers have stopped renting their own land to the company to prevent further land pollution.